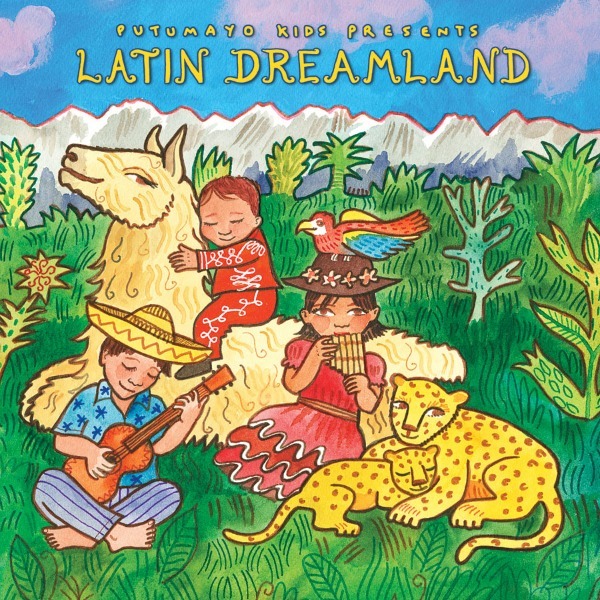 Latin Dreamland enables parents to infuse culturally tasteful music to children during nap time or right before bedtime. The disc is comprised of ten lullabies interpreted by a collage of Latin American artists. It’s hard to choose a favorite from the rich arrangement of songs. Luis Salinas bolero, “Un Vals,” is the perfect Argentinian embodiment of childhood dreamland. Maruca’s, “Canción de Cuna” and Marta Gómez’s “Cielito Lindo” are interpreted in the maternal comfort any child would be willing to cuddle up to. Perhaps my favorite song was “El Eco” by Los Incas. I’ve been listening to Andean music for a very long time, the mixture of wind and string instruments are a vessel to the magical landscapes that Perú is known for. There is also an element of storytelling in the non-lyrically enhanced genre unmatched by any other form of expression. Putumayo World Music was built on the goal of introducing people to the music of the world’s cultures and their motto is “guaranteed to make you feel good!” Latin Dreamland is a precise embodiment of culturally rich music that makes you feel good. We are sure that the collection will become a favorite for nap time for both child and parent. For Putumayo Kids visit Putumayo or Facebook and Twitter. We are giving away one copy of Putumayo’s Latin Dreamland CD to TWO lucky winners. All you have to do is visit the Putumayo Latin Dreamland page and leave us a comment telling us what song(s) you are most excited to hear. Then, enter the Rafflecopter below. Cielito Lindo is close to our family’s heart. My husband sang it to me and we sing it to our little girl. I love the little clip of this song too. Me encanta “Un vals” de Argentina. 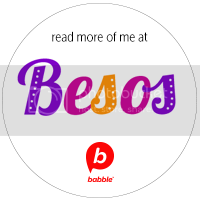 I subscribe to Spanglish baby. Maruca – Canción de cuna – (Mexico): I want to learn it and sing along to it and fall asleep to it as well. I am a subscriber. 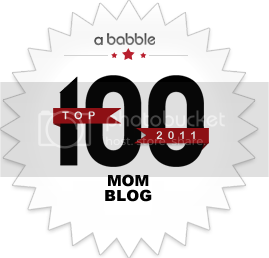 I also love the fact that there are songs in Portuguese since I’m trying to expose the baby to it; it’s my third language and I love the music! I love Putamayo kids. I’m excited to hear “Cielito Lindo” . I sing it to my kids every night! I’m actually excited for all of them. 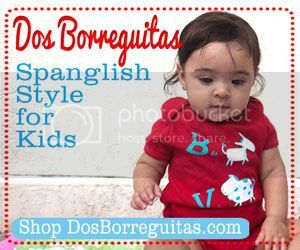 I appreciate the Spanglish Baby site so much! I love this. I am excited to hear “Cielito Lindo.” I am also an email subscriber. I’d love to hear Cielito Lindo! My daughter wants to hear Cunita de Hielo. Anything from Peru. If I win Im looking fwd to listening to the classic Cucurrucucu Paloma!! Thank you! A mis pequeños les encantaria escuchar Cielito Lindo y como no, si es una cancion clasica para nuestra cultura! Que emocionante que #Putumayo reconozca nuestras tradiciones! My girls would love to fall asleep to Cielito Lindo. We love singing in Spanish at our house! We’d love to add this to our playlist! 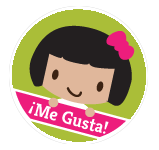 I love Putumayo’s collection for kids! From this particular album, I just love all the Argentino songs. Love “El Eco” . . . takes me to a tropical paradise . . . and hopefully my 10 month old off to dreamland . . .
Márcio Faraco – Noite de Lembrar – (Brazil), Reginaldo Frazatto, Jr. – A Jardineira – (Brazil), and Pamela Rodriguez – Cunita de Hielo (por Triste) – (Peru) were just beautiful!! I can easily see this become our new favorite quiet time music. Can’t wait to hear Cucurrucucu! Thanks for doing another giveaway! I am a Spanish teacher at an elementary school and I would love to find easy songs for my young students. I think Canción de Cuna is the one I am most excited about listening. ¡Muchas gracias! I am a preschool Spanish teacher and I can’t wait to share this CD with my school! I am looking forward to Cielito Lindo. I’d like the song El Eco. I love to hear El Eco as mi familia is from Peru and my dad grew up in an Incan village. “El Eco” and “Un Vals”! La cuna de México, Maruca me interesa. Hola everyone..Wishing todos a good day! I’m excited to hear Los Incas-El Eco (Argentina).